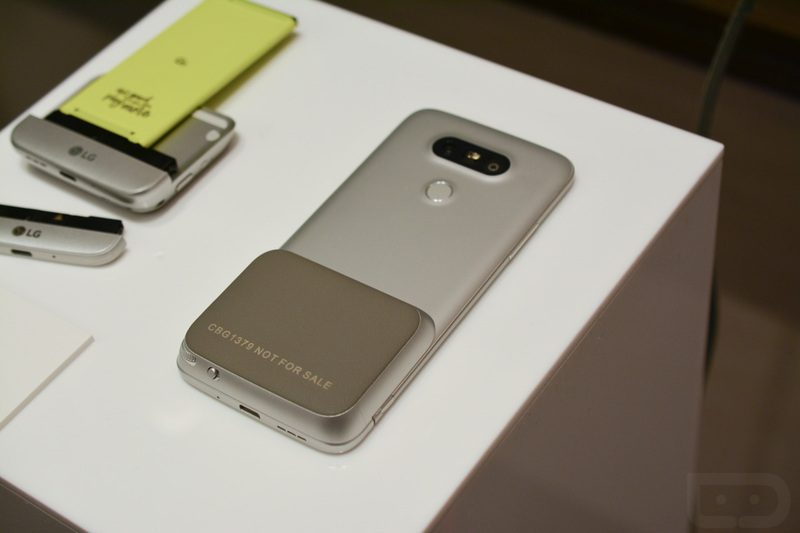 Not only is the LG G5 the first all-metal phone from LG, it also may be one of the world’s first modular phones. 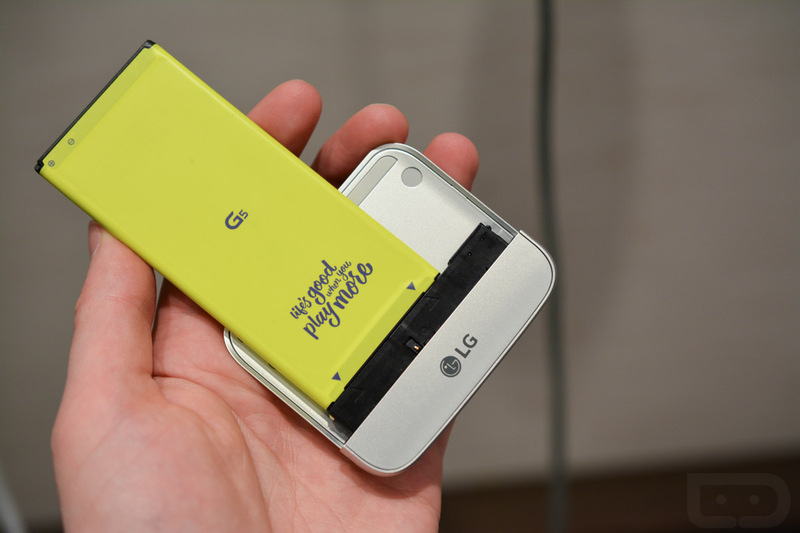 When we’re talking modular, we are referring to the fact that LG has created a phone that could support additional modules for expanding its capabilities. The first two that LG is introducing with the G5 are the LG CAM Plus and the LG Hi-Fi Plus with B&O PLAY. If you want to transform your smartphone – the G5 in this situation – into something that could be mistaken for a point and shoot camera, the LG CAM Plus is something worth looking at. With the CAM Plus, you get a camera grip that slides into the phone’s “magic” slot where the battery is housed, not only adding grip and a more camera-like ergonomic feel to your G5, but it adds some buttons and battery capacity as well. As you’ll see in the images below, the grip has a zoom wheel, shutter button, video record button, and an LED indicator. You can quickly launch the camera at anytime with the press of a button and hopefully take pictures in a more comfortable, point-and-shoot style. Outside of all of that, as I mentioned, the grip does add 1200mAh of additional battery juice. 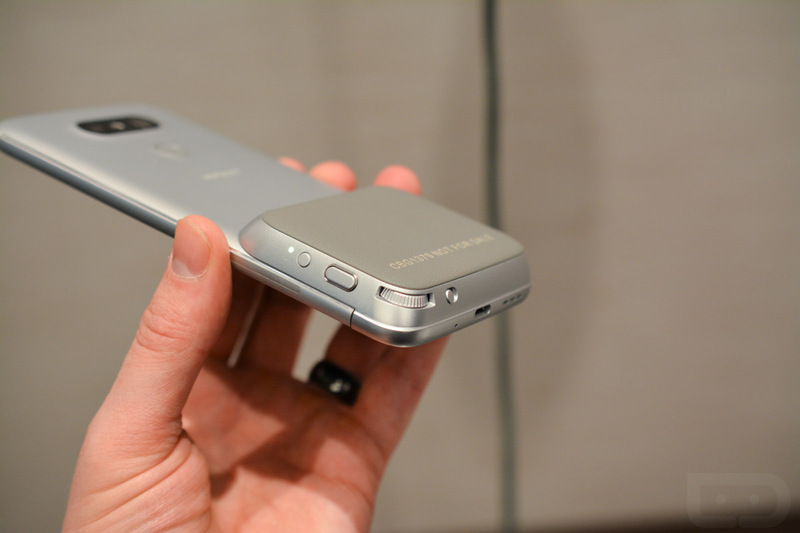 When attached, the extra battery will continue to fuel up your G5’s 2800mAh battery. 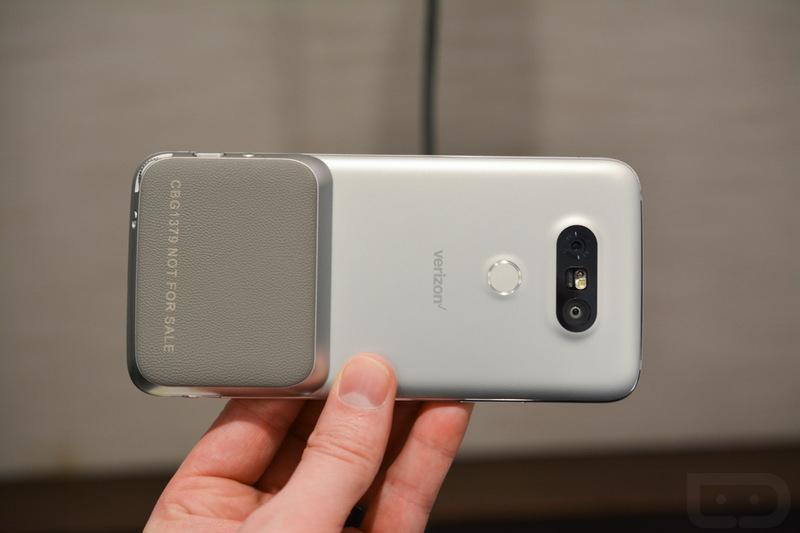 Maybe turning your smartphone into a point-and-shoot isn’t your thing, so you’d rather your phone turn into the ultimate audio player. With the Hi-Fi Plus, LG has worked with B&O PLAY to create a DAC audio player that includes 32-bit Hi- Fi DAC upsampling technology and 32-bit 384KHz high-definition audio playback. 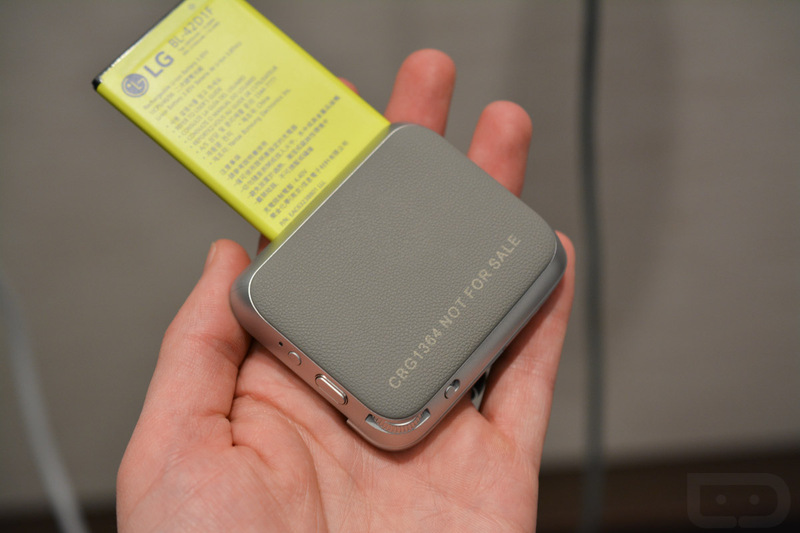 The LG Hi-Fi Plus can be used as a module with the G5 or as a stand-alone DAC for any computer or smartphone. As of now, those are the two modules that LG is introducing with the G5, but I get the feeling we could see more throughout the rest of the year.